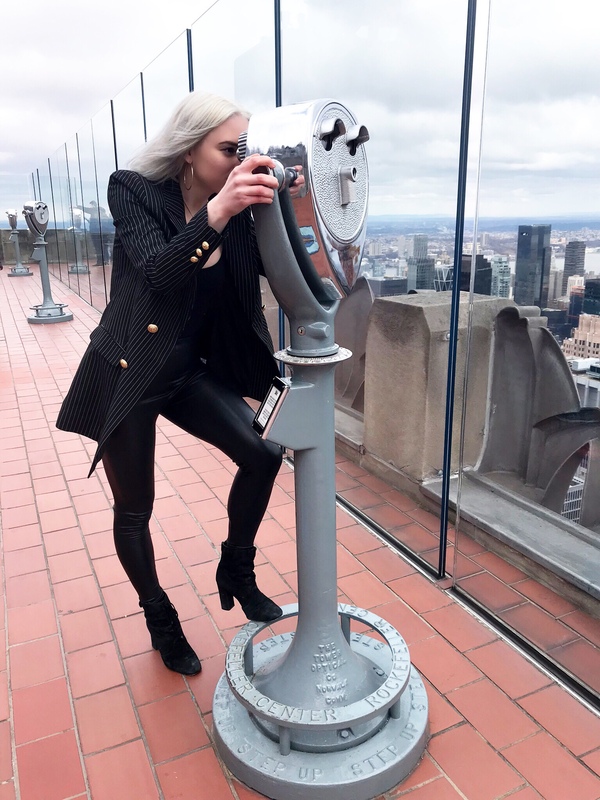 Even if you are afraid of heights, I still highly suggest going to the “Top of the Rock” at Rockefeller center, and the Willis Tower in Chicago. The experience is more than just a photo on top of a landmark. What amazes me is that these structures were made so long ago when infrastructure technology was drastically different. Rockefller center was created during The Great Depression thanks to the wealthy John D. Rockefeller Jr. in 1930. Standing at 850 feet tall, with 70 floors, it is not even close to the tallest building (The World Trade Center Building stands at 1,792 feet tall) according to the official World Trade Center website. Once you are up there on the top you instantly feel like you are on top of the world. Although this isn’t the Empire State Building where Chuck was about to propose to Blair Waldorf, it is still a romantic spot! The day I went with my family it was freezing and windy, but a couple was pushing through the weather and taking photos in their wedding attire. This blazer I absolutely adored. The pinstripe, longer length, and gold sailor buttons were the perfect combination. I found this gem at Burlington Coat Factory. Getting a Romeo & Juliet Couture blazer for $24.99 was the perfect price point. My reasoning behind the rest of my outfit being black was that I wanted to keep the focus on the pinstripes.